A city initiative to make the burgeoning Seaport District more diverse will get a boost with the creation of a narrative arts hub on Fan Pier. City officials announced Tuesday that the Boston writing center GrubStreet had been chosen from among four finalists to open a “civic-cultural space” on the first and second floors of Fifty Liberty, a 14-story condominium tower owned by Fallon Co. The new 13,000-square-foot space, which GrubStreet will lease for a substantially below-market rate, will include a bookstore, cafe, podcast studio, classrooms, and an area for readings and storytelling events. City officials hope its year-round programs will draw a more diverse crowd to the predominantly white, wealthy neighborhood. “This helps us put a different face on Boston,” John Barros, the city’s chief of economic development, said Tuesday. In a surprise move, the Boston Planning & Development Agency also said it had selected a second finalist, the Cross Cultural Collective (C3), a fledgling collaborative that celebrates and promotes black arts and artists, to occupy another space in the Seaport within the next few years. The city has acknowledged that diversity is an issue in the Seaport, a landscape increasingly crowded with behemoth glass-and-steel buildings. Last year, a Globe Spotlight Team series about race found that, over the past decade, lenders issued only three residential mortgages — out of 660 — to black buyers in the Seaport’s main census tracts. Only 3 percent of the population in the district is black, the report noted, and the median household income in the district is nearly $133,000 — the highest of any Boston ZIP code. GrubStreet, currently operating out of a 3,500-square-foot office in Back Bay, is one of the nation’s largest creative-writing centers. 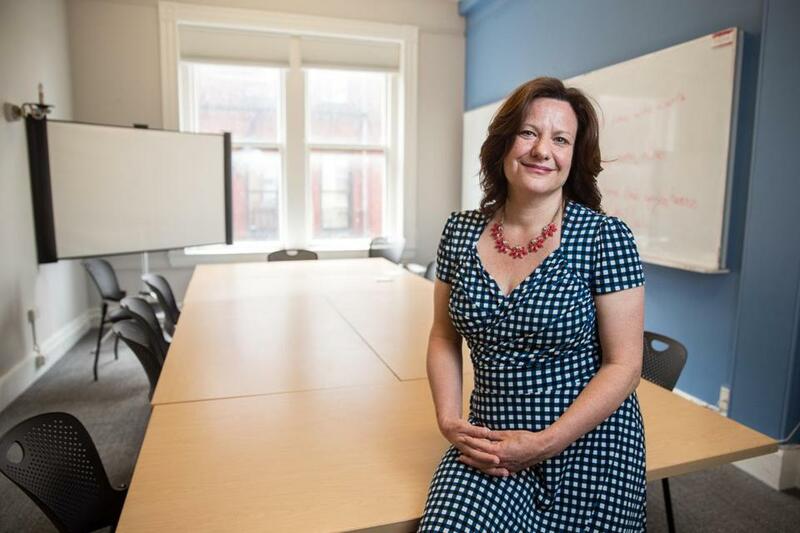 Started in 1997 by executive director Eve Bridburg — she hung a flyer on a tree in Brookline, attracting eight prospective pupils — the center now sees 5,000 students annually and hosts a yearly conference, Muse and the Marketplace, that features acclaimed authors, agents, and editors. GrubStreet will receive a $25-per-square-foot construction allowance from Fallon to create the new Seaport space and also has secured a $2 million grant from the Calderwood Charitable Foundation to build what it describes as a “21st century narrative arts/storytelling center” at 50 Liberty, a building with 120 luxury condos and retail and restaurant space. Bridburg said the center still has to raise “substantial funds” to help design, build, and staff the space, which she hopes will be completed by the end of 2019. “This is a substantial leap forward for us, but we feel ready and poised to do it,” she said. Bridburg knows the Seaport doesn’t have a reputation as a place where writers and artists want to gather, but she thinks that could change. Officials said the deal with C3 is contingent on the group’s ability to reach planning milestones over the next two years. But as C3 works to achieve those goals, the city has offered to support the group with $150,000 in technical assistance.